As judicial crisis continues, debate bubbles up: Should the justices have gone to the press? The judiciary has a tradition of silence, at least beyond the bench, which has now been broken. Even as people are struggling to fully comprehend the meaning of Friday’s unprecedented development, with four top Supreme Court justices telling the media the Chief Justice of India had refused to address a crisis, a debate sprung up that was central to the matter at hand: Should the judges have gone to the press? Supreme Court justices rarely every address the media directly. Norms in both the Supreme Court and the High Courts suggest that any comments need to be made from behind the bar and, if there is the odd case of a response directly to the media, the Chief Justice needs to first give permission. It is even rarer for judges to speak openly about internal processes. 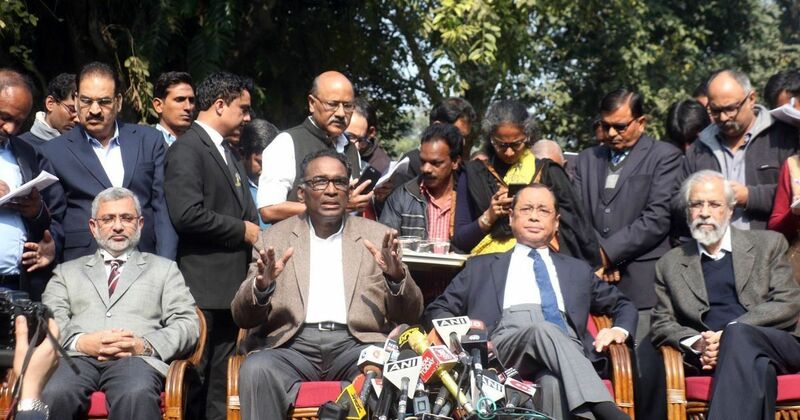 These norms made Friday’s media briefing, with four of the five senior-most judges of the Supreme Court sitting before a host of cameras and reporters and speaking directly to the people of the nation, truly extraordinary. There has already been plenty of debate over the substance of the accusations being levelled against the Chief Justice. According to the four judges, Chief Justice Dipak Misra has in the last few months, arbitrarily decided how to assign cases to different benches in a manner that has raised serious questions and, as per their letter, damaged the reputation of the court. But alongside that argument about content has been the question of form. Even if the four judges had a valid point to make, should they have gone to the media at all? A few former judges and lawyers have come out against the four justices’ decision to take the matter to the media and the public. The general argument is that airing the Supreme Court’s dirty laundry in public will only lower the estimation of the institution in the people’s eyes and thereby do long-lasting damage to its reputation. This school of thought goes by the belief that there were other approaches, which would have channeled the dissent internally, that could have been taken instead of speaking to the press. Former judge RS Sodhi and former attorney general Soli Sorabjee both took this tack, with Sodhi even calling for the four judges to be impeached. Many lawyers and former judges have spoken up in support of the four justices. Their arguments primarily take the view that, though speaking to the public is not a good move, the need must have been so compelling that the four justices felt they would get more from taking the matter to the press than simply complaining to the Chief Justice one more time. In some cases, a few more directly involved with the matter at hand – like Indira Jaising and Prashant Bhushan, who have raised questions about the Chief Justice’s conduct in the recent past – applauded the unexpected action of the justices. Other responses came from unusual places. Even as the government kept mum about the matter, insisting for the most part that this is just an internal issue for the judiciary, Bharatiya Janata Party Member of Parliament Subramanian Swamy praised them for their actions. The government has not officially put out any response to the crisis, one of the biggest to ever envelop the judiciary. Through unnamed sources, it put the word out that the government believes this is an internal matter that the judiciary will have to resolve by itself. 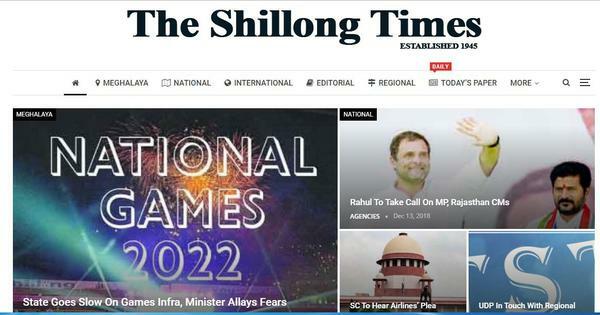 Meanwhile, after headlines suggested the Prime Minister had summoned the Law Minister to discuss the issue, the latter’s office reportedly put out a denial.